Acts : Crossway Classic Commentary. One of history's greatest Bible expositors looks at the central themes of the book of Acts and the formation of the New Testament Church. A Crossway Classic Commentary. Acts : Crossway Classic Commentary. 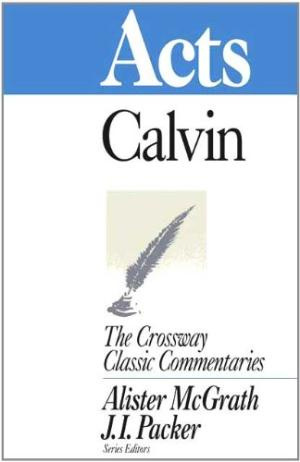 by J. Calvin was published by Crossway in May 1995 and is our 39455th best seller. The ISBN for Acts : Crossway Classic Commentary. is 9781856841153. Buy Together Offer for Acts : Crossway Classic Commentary. Reviews of Acts : Crossway Classic Commentary. Be the first to review Acts : Crossway Classic Commentary. ! Got a question? No problem! Just click here to ask us about Acts : Crossway Classic Commentary. . Details for Acts : Crossway Classic Commentary.